A Solarmax II, 60 BF15 H-alpha scope was mounted on a Celestron AVX EQ, GOTO mount. 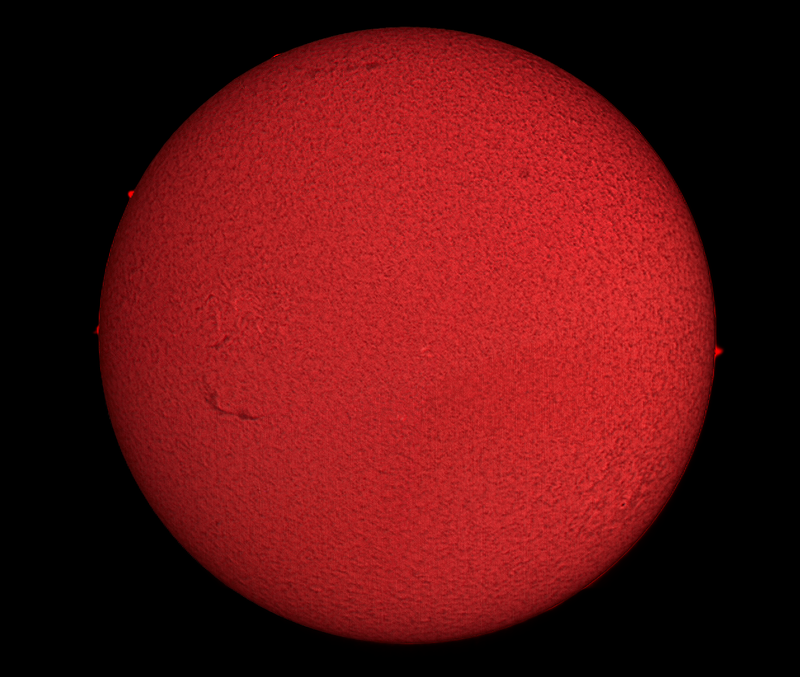 A ZWO ASI120 MC camera was used with AstroDMx Capture for Linux to capture SER files of two overlapping regions of the Sun. The files were stacked in Autostakkert! 3, stitched with Microsoft ICE and wavelet processed in Registax 5.1, all running in Wine. Two images of the overexposed disk to show the small prominences were aligned in iMerge in Wine. The images were combined into a single image in the Gimp 2.9. Click on the image to get a closer view. Great post. I would include that 'Great composition is a delight to the eye' too; that is the reason we have every one of the styles and design inclinations to make it is an agreeable affair for readers. . I heard about the essay writing services, they give a lot of information about writing an essay papers and also other academic works. I don't know more about the custom essay writing service . Please share your opinions about the essay writing service.